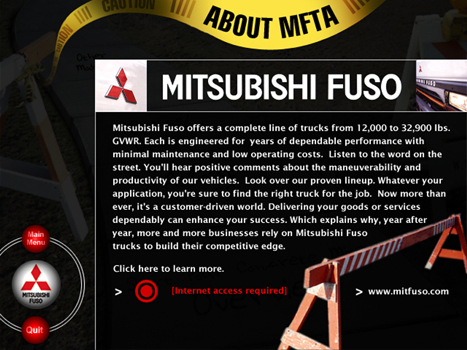 Mitsubishi Fuso Truck of America was introducing a new cement mixer, so they launched a product promotional campaign. 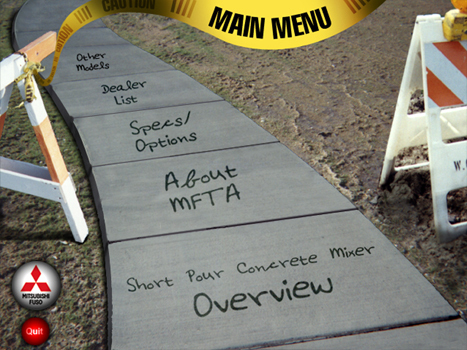 The second image is the CD’s main menu that branches out to various information about the new short pour concrete mixer. 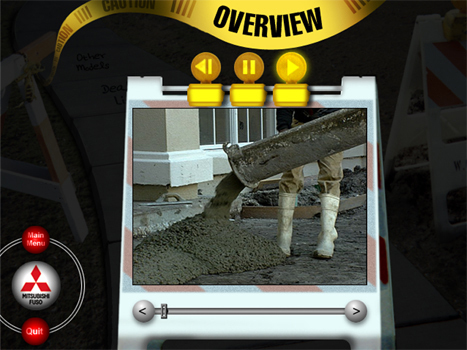 Like most CD-ROMs and videos we produced, I incorporated the interface design into the packaging.